Welcome to another episode of, The Game Room, where Kidzworld's games editor, Rory, shares some of his favorite games, each and every Friday. 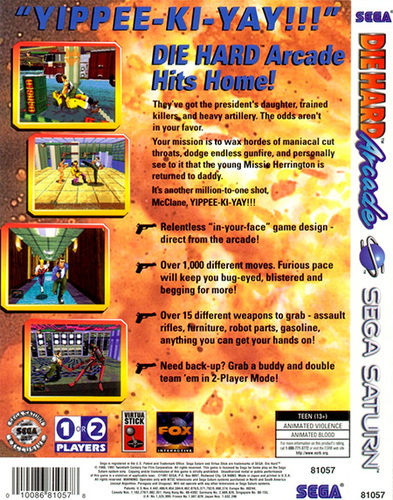 This week, he's throwing the spotlight on Die Hard Arcade for the Sega Saturn, Crash Bandicoot on PlayStation 1 and the Super Mario game that made him fall in love with video games oh so long ago. See all 3 games in action in the video below! First thing to note... This version of Die Hard has nothing to do with the classic movie other than names. You're John McClane, out to save the Presidents Daughter. You can play single player or team up with a buddy for some local co-op action. At first glance it's a very standard brawler but dig deeper and you'll find dozens of moves and combos to pull off, including jumping ground attacks ala Virtua Fighter. Pick up a variety of weapons like rocket launchers and machine guns or just go all Rambo with swift punches and kicks. You can even arrest the bad guys instead of killing them to save ammo. Quick time events pop up every now and then, get them right and pow, success. Get them wrong and your stuck with an extra fight on your hands. With a limited number of continues, avoiding these fights will seriously improve your chances of beating the game. Released on the Sega Saturn in 1997 , It may feel a little clunky by today's standards, but it's still a blast to play, especially with a friend. Crash Bandicoot, released in 1996, still holds up today and will give your platforming skills a good challenge. 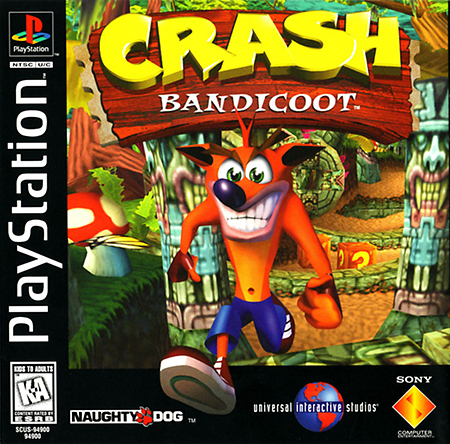 Unlike Super Mario 64, with its wide open spaces, Crash Bandicoot was a much more linear experience, but because of that, developer Naughty Dog was able to pack the levels with lush details. It was gorgeous to see in action when it was released. Every location, dense with nature and old ruins, and oh so many deadly obstacles. Crash is pretty standard fare in the gameplay department but the action feels solid and I like that levels are a mixture of side scrolling and running into 3D space. Each of them offering their own unique challenges. The sound track is pretty great too. Plus, you get to ride on the back of a hog, yeeehhhaw. The most iconic first level in gaming. Finding that mushroom for the first time was amazing, then there was a hidden 1-up a couple pipes over. Then right after that? Fire Power! 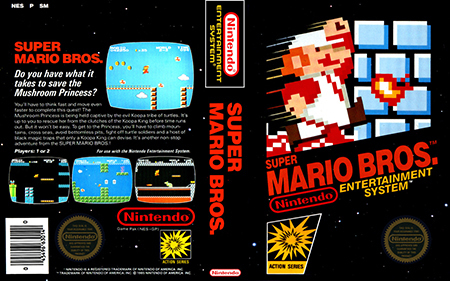 Super Mario Bros. is one of the best platforming games out there. From the day it was created till the end of time. It will never not be a great game thanks to ridiculously tight gameplay and awesome level design. Running and jumping, sometimes swimming and on even rarer occasions, climbing a vine. Super Mario's Bros.s scrolling levels of beautiful pixels never gets old. Test yourself with speed runs, using warp zones to skip entire worlds or take your time, searching for every last hidden secret. I have been playing this game for over 25 years and I will be playing it for another 25... Because the princess is always in another castle. What are some of your favorite games? let us know in the comments below! Do You Use Cheat Codes To Play Video Games? Only if I can't get past a certain level. Never - I like to figure out a game myself.